S.H.I.E.L.D's Agent Colsen's 'Lola' (bottom). In the real world there's a shift in the definition of what can be called a flying car. A shift so radical that some flying cars don't have wheels and are not even designed to drive on the road. 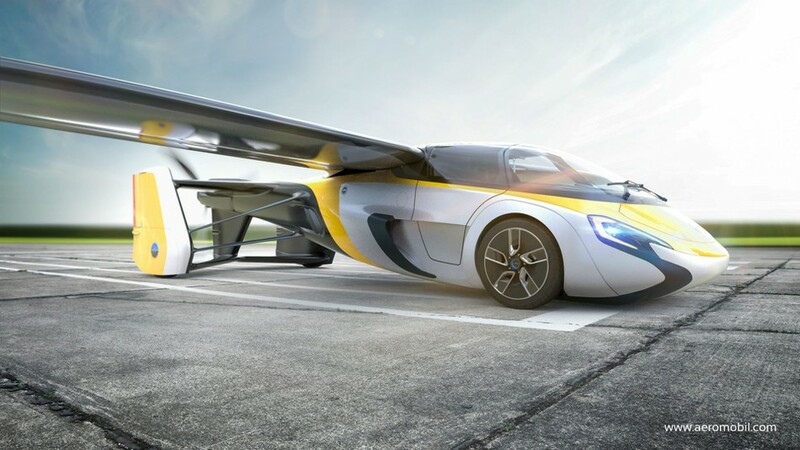 I've talked about what isn't a flying car back in 2012 in my post Forget Self Driving, Where's My Flying Car, so let's look at what is passing for flying cars in 2017.
flying cars that you drive to an airfield for take off. The first type is the plane that can be driven as a car. These monstrosities require you to drive them to an airfield to get off the ground and look highly impractical for taking through the drive thru of just about anywhere. They won't be replacing your current car any time soon because without a runway they don't fly and they're impractical for general purpose driving. Seriously, these things look like they'd lose to the speed bumps in a Walmart car park. 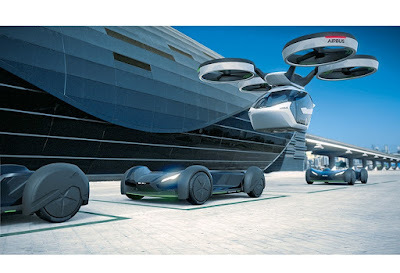 More promising are VTOL (Vertical Take Off and Landing) type vehicles, which I think is the first basic requirement of anything calling its self a 'flying car'. 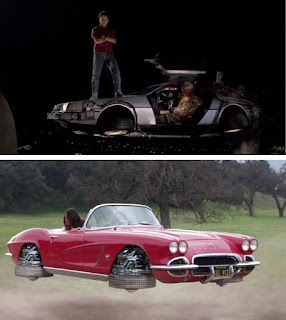 If you can't take off from your driveway then there's no hope of any kind of flying cars replacing regular cars. proposed taxi service in Dubai. Most of this kind of flying car use drone technology, essentially attaching four or more horizontal propellers to the corners of a vehicle. It's a great idea but has a tendency to increase the vehicle's foot print to a much wider area than a regular car - and you could accidentally start blending pedestrians if you were to fly at street level. Technically these vehicles aren't cars and have more in common with helicopters but at least two companies, one in Dubai, and Uber are looking to create autonomous taxi services using these kind of vehicles. 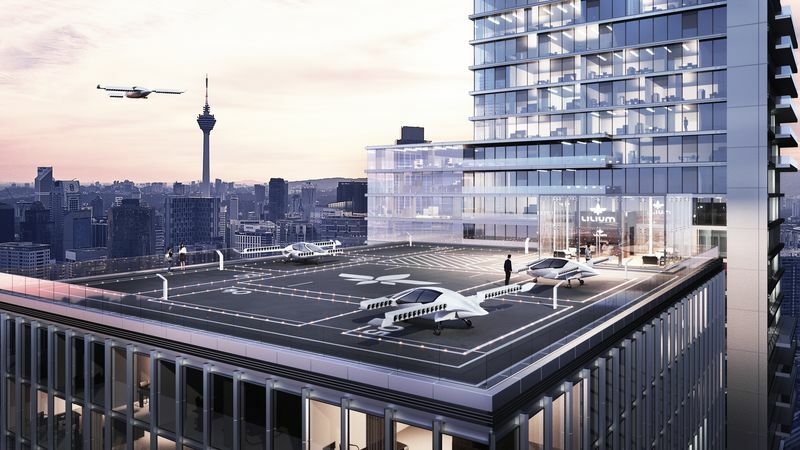 Both transport you to the nearest landing pad closest to your destination with the possibility of using rooftops as potential landing sites. 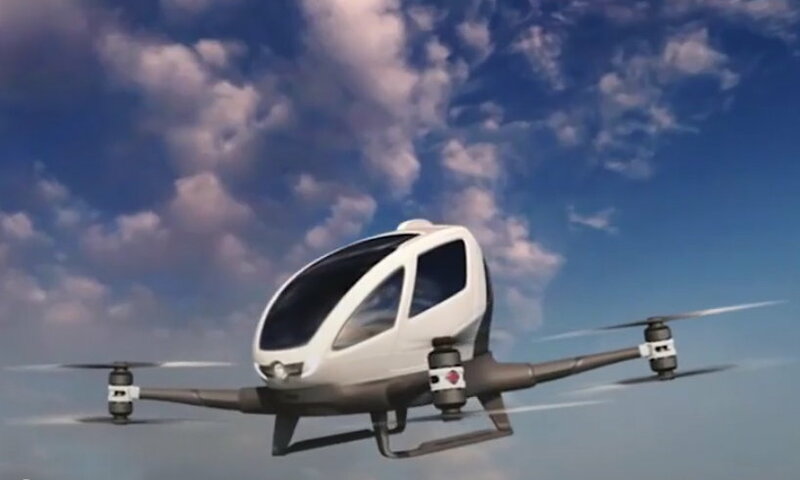 Airbus also has plans for a drone car hybrid taxi service that looks interesting but is probably not what springs to mind when you hear the words 'flying car'. thinking about getting you from the landing pad to your door. Most of these drone systems use battery power for short run trips within the radius of your average city and urban sprawl. 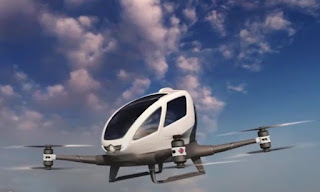 One company that appears to be thinking a little differently are the creators of the Lilium Flying car (well everyone else is calling it a flying car but Lilium Aviation themselves call it a VTOL Electric Jet) which has been successfully test flown autonomously. 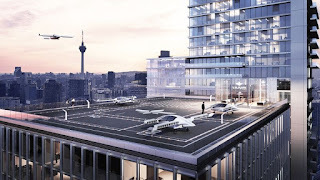 Lilium Taxi, roof top landing pad concept art. Not a vehicle you'll be taking the kids to school in but one that is destined to become part of a roof top taxi service similar to Uber's concept. What's interesting to me about this jet (because, let's face it, it's just not a car) is the electric jet propulsion system which looks pretty darn small and compact. Could you attach those to a more regularly shaped car and be stable enough to fly without the wings? Maybe control the thrust of the engines in a four corner configuration the same way drones control their movement through the air? If that were possible then maybe we could retro fit current cars with electric jet turbines and make them fly too? At the very least, maybe the designers could come up with a configuration that looks more like a car you'd store in your garage than a plane. One 'flying car' but not really, I have to mention is the Airmule, a military craft inspired by 'The Bat' from the film The Dark Knight Rises. 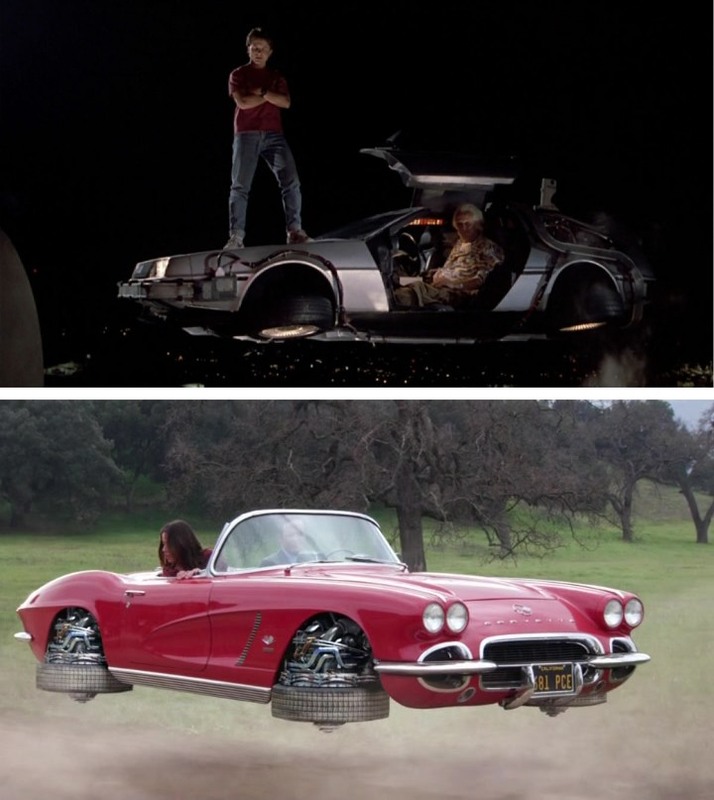 that is more awesome than anything else in 'flying cars'. The Airmule is basically like an upside down helicopter with it's internal fans underneath the vehicle. What makes it interesting is that you could imagine this flying at street level without turning pedestrians into mince meat. 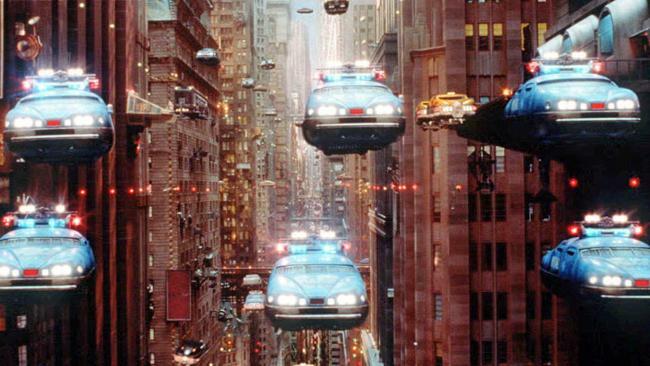 Flying Cars in The Fifth Element. We're still a long way off from those flying cars we saw clogging the city air ways between buildings in the movie The Fifth Element (which is actually what I think of when I think 'flying cars'). One thing that I do think is a certainty is that flying cars flown in such close proximity to each other will need to be largely self driving or filled with some serious, anti collision technology. Can you imagine trying to change to a lane beneath you without anything monitoring your blind spots? Currently we're still fighting gravity with propellers and jet engines to get vehicles off the ground. Whoever discovers how to make an anti-gravity drive is going to be the one to really bring science fiction into reality. The question is, how do you make something lighter than gravity?